Married to Tracy, he has three adult children, Melanie, Adam and Evan. 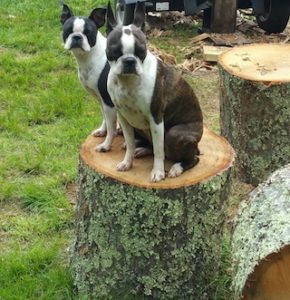 When not working with clients, you can find Gary in his garden or his workshop often with the two most special family members, Sadi and Otis, the Boston Terriers that travel with the family wherever they go. Or, you might find him on Patrol as a Lieutenant in the Attleboro Auxiliary Police Department where he has served for more than 20 years. His dealership serves the beautiful areas of Bristol and Plymouth Counties of Massachusetts. With Cedar Hill Log Homes he is in the perfect position to help customers create retirement, vacation and dream log homes or innovative and appealing commercial structures in Western Massachusetts and Northern New England.